The next update to head to the BlackBerry 10 operating system looks set to introduce handy new features like actionable notifications, the option to mute notifications altogether and WiFi Direct, among others, according to leaked screenshots. BlackBerry fansite CrackBerry Forums leaked images of the purported build of the 10.2 version (10.2.0.483) of the OS on Tuesday, showing a number of new features like the ability to turn off notifications altogether or show them on the lock screen. However, more importantly, the images reveal that actionable notifications should be included in the next build to roll out of the company’s software labs. This means that you can do things like respond to a text message or email simply by pulling down the notification bar and performing the action (in this case writing a message), removing the need to actually stop doing whatever you were doing to attend to it. According to the Forum thread and images, the OS will also soon be able to offer WiFi Direct connectivity, which would allow devices to connect directly with each other via WiFi without the need to connect to an access point first. 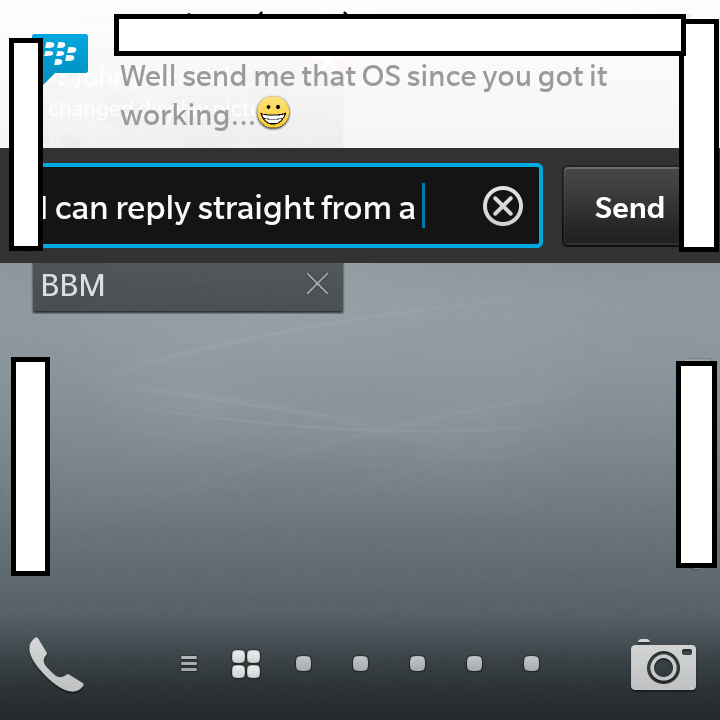 We’ve asked BlackBerry when OS 10.2 will start rolling out to users officially but a spokesman stonewalled us with a “we don’t comment on rumors or speculation”. We’ll let you know if we hear more. It’s good to see BlackBerry working hard to bring its new OS up to scratch given that its most recent official update only started gradually rolling out a couple of months ago, and if it does include actionable notifications . It’s also necessary considering the uphill battle the Canadian handset maker has in the consumer markets. While it has largely retained a loyal enterprise base, it’s faring less well on the consumer side of things but is hoping to turn this around with its BlackBerry 10 OS and new handsets such as the Z10, Q10 and Q5.